If you’re looking for something a little different for a night out of entertainment consider the East Coast Illusionist Tour which is coming to Strathspey Performing Arts Centre in Mabou on Saturday, May 4th. The East Coast Illusionists are made up of a group of five talented Cape Breton-based performers, who have all made a name for themselves as illusionists of one sort or another. According to Carmen Giorno, a nurse and hypnotist based in Sydney, this group evolved out of a series of solo and group shows by friends and like-minded individuals – all Cape Breton-based homegrown talent. “I’d done shows with Kirk MacNeil and Ian Stewart and it really grew out of that. We did our first show last May in Membertou and we were pleased to see a turnout of over 350 people. Our goal is to continue to build this momentum and to continue to perform together when we can. Each of us has our own solo shows as well and Ian Stewart does this on a full-time basis, while the rest of the performers have other professions – I’m a nurse, Paul Naas works with the autistic society, Stephanie MacPhee works at a radio station, and Kirk MacNeil is a airline pilot,” said Giorno. The East Coast Illusionists will be bringing their Beyond Imagination Tour to the Strathspey Performing Arts Centre stage. Each performer combines their own talent and taking it to the stage as you will see Giorno performing jaw-dropping magic, sleight of hand and comedy. Stephanie MacPhee will have her side show stunts and her appetite for fire swallowing. Kirk MacNeil will be playing mind games with his audiences and Giorno says MacNeil can read your mind. 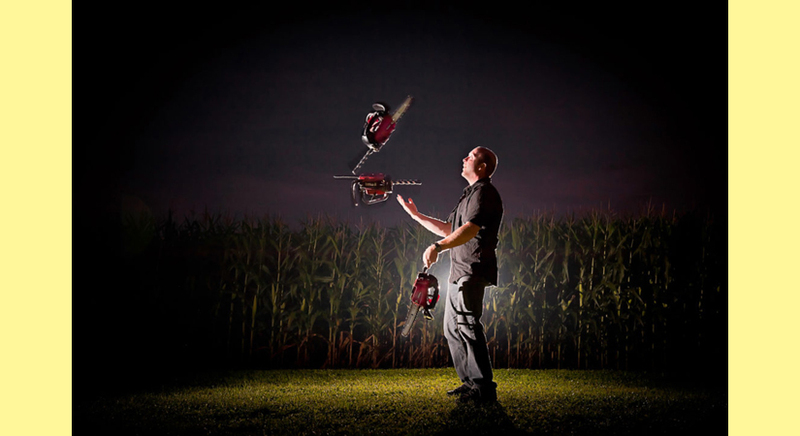 Ian Stewart holds the Guinness Book of World Records for chain saw juggling. Ian has been performing around the world for over 20 years with over 2000 live shows under his belt. Ian performed on The Late Show with David Letterman and The Tonight Show with Jay Leno and recently on Americas Got Talent and Penn & Teller Fool Us. Paul Naas will showcase his grand illusions as he levitates his wonderful assistant Kat. “This will be a night you will never forget with over two hours of complete amazement. It’s great entertainment for the entire family,” says Giorno. Showtime is 7:30 p.m. and tickets are available on the Strathspey website or at their box office.